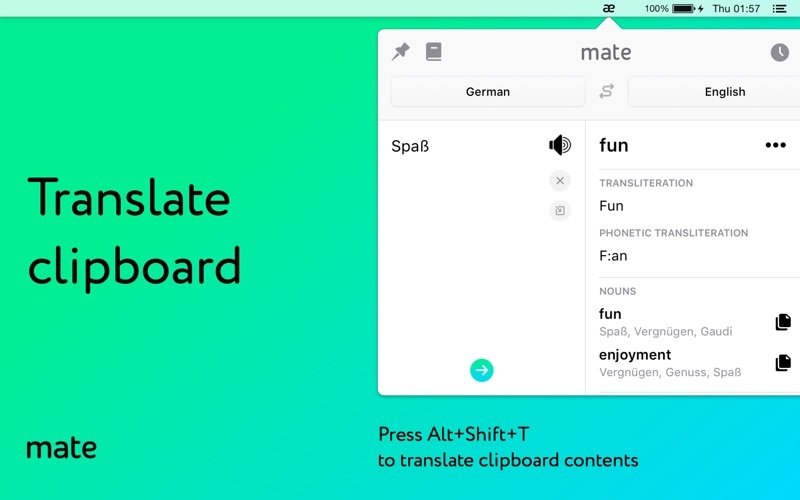 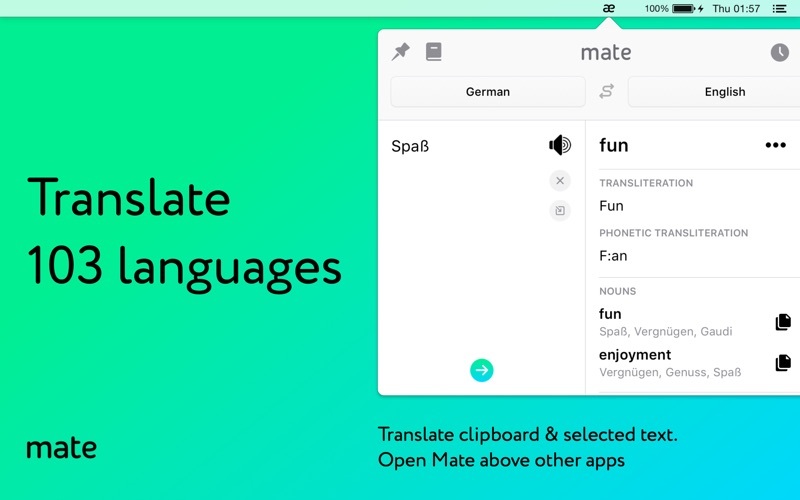 Mate Phrasebook Easily create and curate word lists which are available even offline. 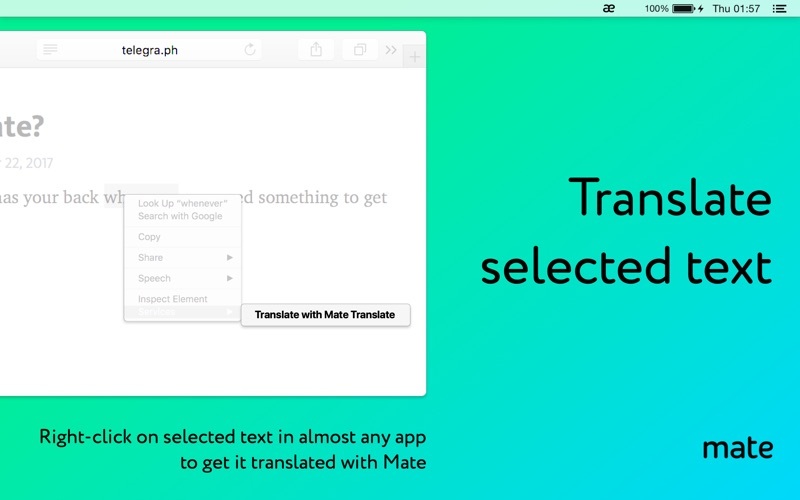 Keep all of your translation and dictionary data synchronized across all your devices. 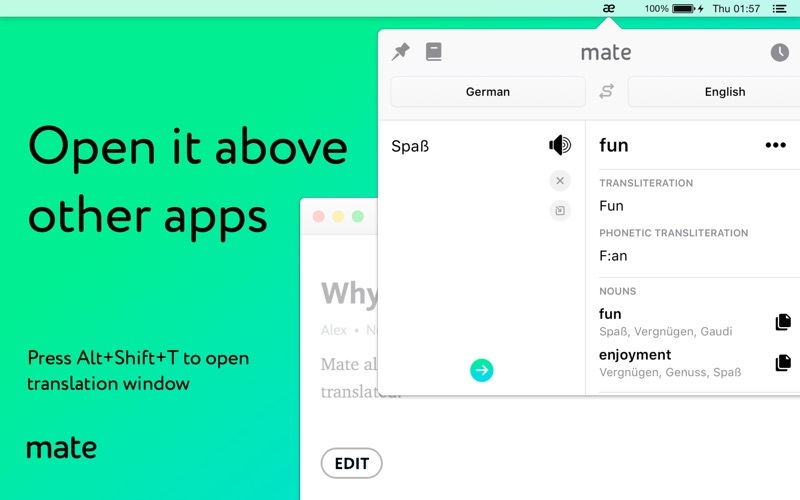 Automatically synchronize your data between all your iPhones, browsers and Macs.